Heat therapy can provide both pain relief and healing benefits for many types of back pain. Our reusable Heat Pads allow you to apply heat directly to the area of pain or discomfort when required. 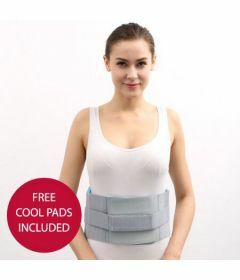 Adding Heat Pads to your back support can help to reduce joint stiffness, ease pain and help you to relax. 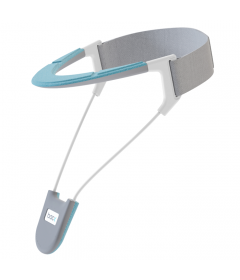 In combination with cold therapy, the Heat Pads can also help to relieve muscle spasms. 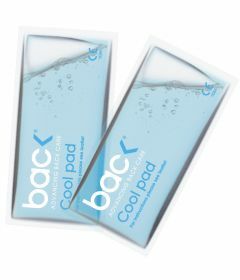 Our bac< Heat Pads are activated by clicking the metal disc inside can be reused time and time again, up to 100 times. The heat generated by the Heat Pads will last for approximately 30 minutes, however it is recommended that they are used for just 20 minutes at a time. After each use they will need to be reset using boiling water. Please read the included instructions carefully before use and resetting. 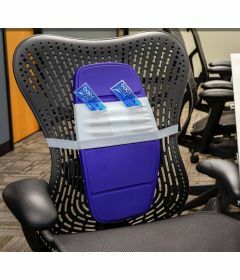 The Heat Pads fit directly into the elasticated pockets of the Back Brace, into the pouch of our Neck Brace, and the into the Backboard Plus sleeve. 2 Heat Pads are included in each pack. How long shoulder I use the Heat Pads for? We recommend that you use the Heat Pads for 20 minutes at a time. How do I use the Heat Pads? Our bac< Heat Pads are activated by clicking the metal disc inside. Once activated they will generate heat for approximately 30 minutes. They will then need to be reset as per instructions. Should I be using hot or cold therapy? Cold therapy is used to reduce swelling and ease pain, usually after injury. Heat therapy can be used to help ease pain, reduce muscle stiffness, relieve muscle spasms and help you relax. For some, a combination of hot and cold therapy can work best, using the cold for 20 minutes, then the hot for a further 20 minutes. To return an item to us, simply use the packing slip that came with your order. The returns form must be completed for both refunds and exchanges, and must be included in your returned package. You may write on a sheet of paper if you do not have the packing slip. Please include your name, order number, the product you are returning and the reason as to why. You can then send your item back to us via your chosen post office or courier. USPS is usually the cheapest.